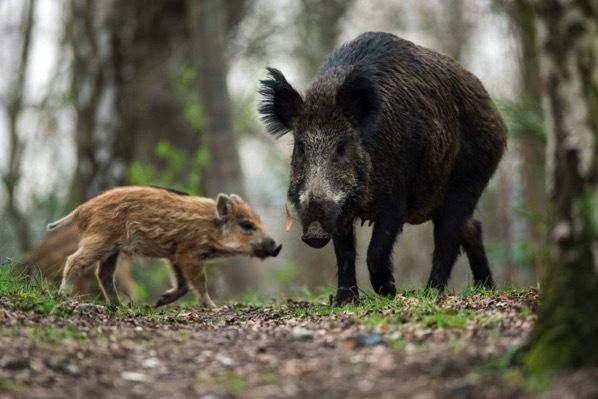 South Africa has detected an outbreak of African swine fever on a farm in North West province, the Paris-based World Organisation for Animal Health (OIE) said on Wednesday. The outbreak killed 32 out of a herd of 36 pigs on a farm in the Ditsobotla district, with the remaining animals slaughtered, the report said. Malaysia health officials reported more than 38,000 dengue fever cases through April 6. Of this total, 59 fatalities have been reported. Nearly six out of 10 cases have been reported from Selangor state, followed by Kuala Lumpur and Johor. At least twenty-two people from Tegat Village in Molo were admitted at the Nyayo hospital in Elburgon, with residents fearing they may have contracted anthrax after consuming milk from a sick cow. China’s agriculture ministry late on Sunday confirmed the first outbreak of African swine fever in the country’s Tibet Autonomous Region. The disease was found in two counties and one district of the city of Linzhi, the Ministry of Agriculture and Rural Affairs said in a statement; Linzhi is in southeastern Tibet near the border with India. A total of 55 pigs have so far been killed in the Tibet outbreak, it added. Since the first outbreak of African swine fever (ASF) in Asia last August in Liaoning Province, China, hundreds of outbreaks have been in dozens of provinces in China, Mongolia and Vietnam. Now we learn of the first occurrence in neighboring Cambodia. An ASF outbreak has been reported in backyard pigs in Rattanakiri province in northeast Cambodia, which borders Vietnam. Four hundred of the 500 pigs on the farm died and the remaining killed and properly disposed. The El Salvador Ministry of Health (MINSAL) is reporting 517 cases of typhoid through the first twelve weeks of 2019. The Vietnam Ministry of Agriculture reported this week (computer translated) on three additional provinces having reported African swine fever (ASF). This brings the total 21 provinces reporting cases in the past five weeks with 64,879 pigs affected. To date, ASF has mainly appeared on small farms where sanitation and biosecurity is not good. A total of 1,372 cases of infectious syphilis were notified in Victoria, compared to 1,351 cases in 2017 and 1,134 cases in 2016. The majority of notified cases continue to occur in males with 73 per cent of males reporting male sexual partners as the source of infection. Thirty per cent of the cases among MSM were HIV positive and of these, 57 per cent were reinfections. New York City health officials reported an additional 33 confirmed measles in the past week, bringing the outbreak total to 214 since October 2018. A Kimberley man is being treated for Crimean-Congo haemorrhagic fever (CCHF), commonly known as Congo fever, in the isolation unit at the Robert Mangaliso Sobukwe Hospital. Elliott is the second patient to be diagnosed with Congo fever in South Africa this year. The other case is in the Free State. It is thought he contracted the disease through a tick bite. Swedish public health authorities, Folkhalsomyndigheten, is reporting an outbreak of psittacosis, or parrot disease, since November 2018. According to officials, some 60 cases have been reported from the regions of Västra Götaland, Kalmar, Jönköping and Skåne. This is the highest number of cases reported in one winter in two decades. Reports are emerging that many outbreaks of African Swine Fever on Chinese farms are not being reported to the authorities. Many farms where outbreaks occur are selling on unaffected pigs, spreading the disease further. Other farms simply lack the capability to test for the disease. The large 10 000 plus swine producing units are not reporting disease outbreaks because it would have a detrimental effect on their share prices. Poor provinces are also under-reporting outbreaks because they lack the funds to compensate farmers for culled animals. It has been suggested that most large pig farms are infected. At present it seems unlikely that the authorities will manage to bring the outbreak under control. Health officials are reporting a malaria outbreak in Cauca Department in southwestern Colombia. The outbreak has affected 322 people in the rural areas of Guapi and Timbiquí. In a follow-up on the African swine fever outbreak in Vietnam, Vietnam’s Ministry of Agriculture (MARD) announced this week an escalation and spread of the pig virus in the country. As of February 28, African swine fever (ASF) occurred in 96 households, 33 villages, 20 communes, 13 districts of 6 provinces and cities. ASF has also appeared in all wild pigs. The total number of infected and culled pigs was nearly 2,350 (with a total weight of over 172.5 tons). Officials with the Global Polio Eradication Initiative (GPEI) reported three additional wild poliovirus type 1 (WPV1) cases in the past week–one in Afghanistan and two in Pakistan. The Department of Health in the region of CALABARZON (Cavite, Laguna, Batangas, Rizal and Quezon provinces) has been one of the hardest hit regions in the Philippines this year when it comes to the measles epidemic. According to health department data, a total of 3,384 measles cases with 83 deaths in the region from January 1 to February 23. Meanwhile the number of measles deaths in the Philippines has risen to 203. China on Sunday (Feb 24) confirmed two new outbreaks of African swine fever, one in the northern province of Hebei and the other in the northern region of Inner Mongolia, as the highly contagious disease spreads through the world’s largest hog herd. The Ministry of Agriculture and Rural Affairs said the first outbreak is on a farm in the Xushui district of Baoding city which has 5,600 hogs, some of which died because of the swine fever, though it did not give a death toll. The farm has been quarantined and the herd slaughtered, it added. The number of hepatitis A outbreak cases reported in the Columbus, Ohio/ Franklin County has reached a level which hasn’t been seen in a quarter century, according to Columbus Public Health. Health officials report 247 cases, with 77 percent of cases reported in Columbus. Statewide, the outbreak total in Ohio has risen to 1,746 cases, including more than 1,000 hospitalizations. Six deaths have been reported. Vietnamese media report that the Vietnam Department of Animal Health announced Tuesday that eight African swine fever (ASF), or swine cholera outbreaks in the two northern provinces of Thai Binh and Hung Yen. ASF virus was discovered in Hung Yens Hung Yen city and Yen My district, and Thai Binhs Hung Ha district. Scores of pigs have been destroyed. The Chinese Ministry of Agriculture and Rural Affairs reported the first African swine fever outbreak in Yinhai District, Beihai City, Guangxi Zhuang Autonomous Region. The outbreak resulted in the deaths of 924 pigs in two communities with 23,555 live pigs. China’s agriculture ministry on Sunday reported a new African swine fever outbreak in the northwestern region of Ningxia. The outbreak occurred on a farm with 57 live pigs in Yongning county, infecting pigs and killing 13, the Ministry of Agriculture and Rural Affairs said in a statement. For the first time, the United States Department of Agriculture’s (USDA) Animal and Plant Health Inspection Service (APHIS) confirmed the presence of virulent Newcastle disease in a small domestic flock of backyard exhibition chickens (250) in Utah County, Utah. This case is believed to be connected to the current outbreak of virulent Newcastle disease in California, as three of the birds at the premises were recently moved to Utah from Los Angeles County, California. In Utah, the disease is currently contained to one domestic flock and has not been detected in any commercial poultry flocks. In a follow-up on the measles situation in Clark County, Washington, health officials are now reporting 14 confirmed cases and three suspected cases, all among children. One child required hospitalization for their illness. The bulk of the children are under the age of 10 and 13 of the cases were not vaccinated. Asian pork producers need to redouble efforts to combat African swine fever after Mongolia reported its first outbreak, just five months after the deadly pig disease was first discovered in China.